This 1991 track started life as a Johnny Marr demo before Kirsty MacColl volunteered to take the backing track and add her own lyrics and vocal melody. Having done so she offered the track to Alison Moyet, who declined to record it, and MacColl went on to release her own version. As luck would have it the track would become MacColl’s most successful US single, peaking at number 4, and did well in the UK too, returning her to the top 30 after a two-year absence. 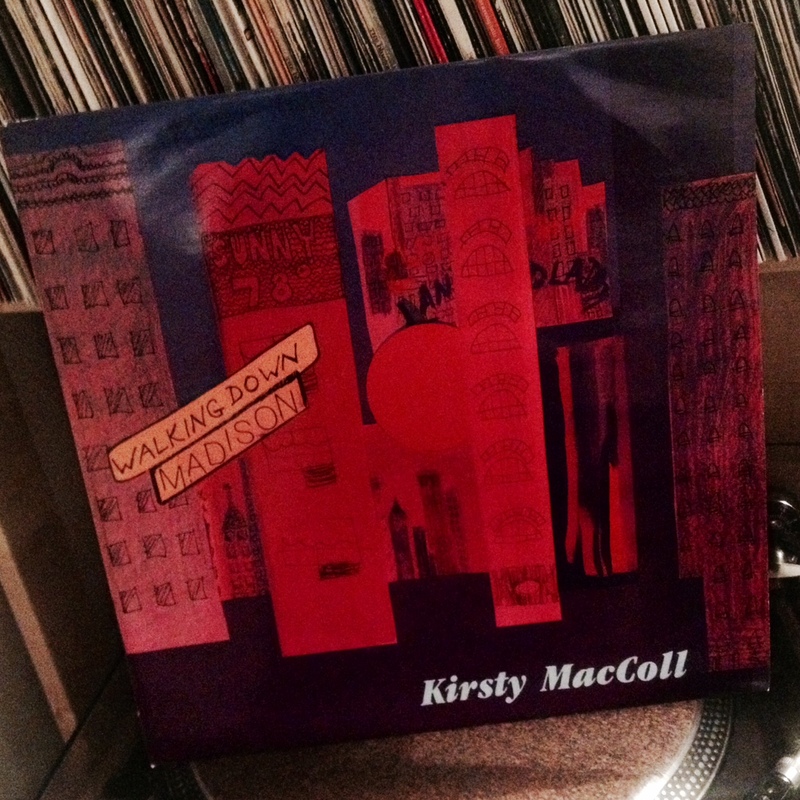 MacColl had enjoyed hits in both countries over a 10 year period prior to the release of Walking Down Madison, all of which were also collaborations or covers. Her version of Billy Bragg’s ‘A New England’ and her duet with The Pogues for ‘Fairytale Of New York’ were both top 10 singles in the UK, and at the time of this release she’d recently dueted with the Happy Monday’s on their ‘Hallelujah’ single too. All of these tracks were produced by her husband Steve Lilywhite, whose suggestion it was whilst producing their album that MacColl should duet with Shane MacGowan on ‘Fairytale Of New York’. 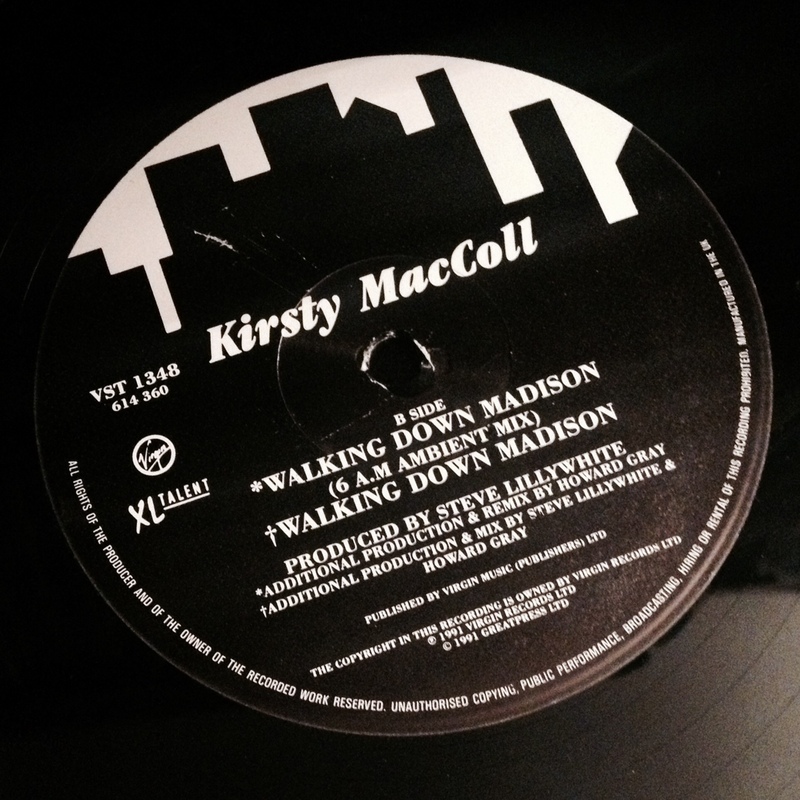 Production on Walking Down Madison marked a new direction for MacColl, it being her first hit with an electronic backing track, made up of hip-hop inspired beats that were so popular in 1991. In keeping with the hip-hop feel the track also features a rap by Aniff Cousins, who’d enjoyed top 20 success two years earlier as co-writer of A Guy Called Gerald’s ‘Voodoo Ray’. 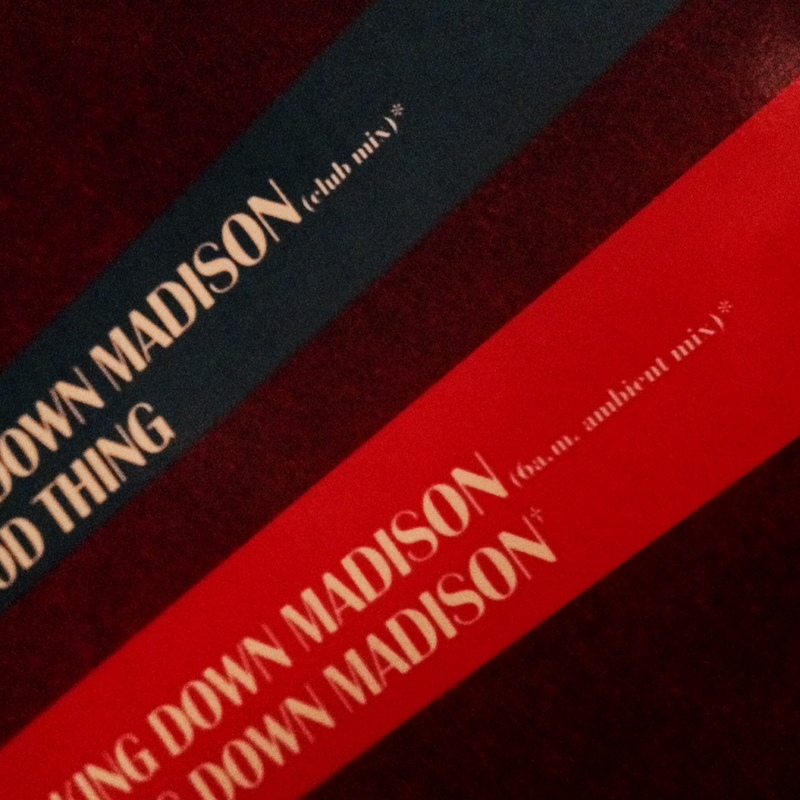 The Walking Down Madison 12” single features the single mix, and extended club mix, and the 6am ambient mix which is featured here. The beauty of this stripped down version is that more than any Kirsty MacColl hit her unique voice and harmonies are almost entirely exposed at the front of the mix. Aside from being a pleasurable listen, this also allows more focus on the lyrics, which offer a vivid snapshot of MacColl’s observations on homelessness in New York in the 1980s. One of the finest moments in the career of a fine vocalist and lyricist then, and a not insignificant chapter in the remarkable career of Johnny Marr too. 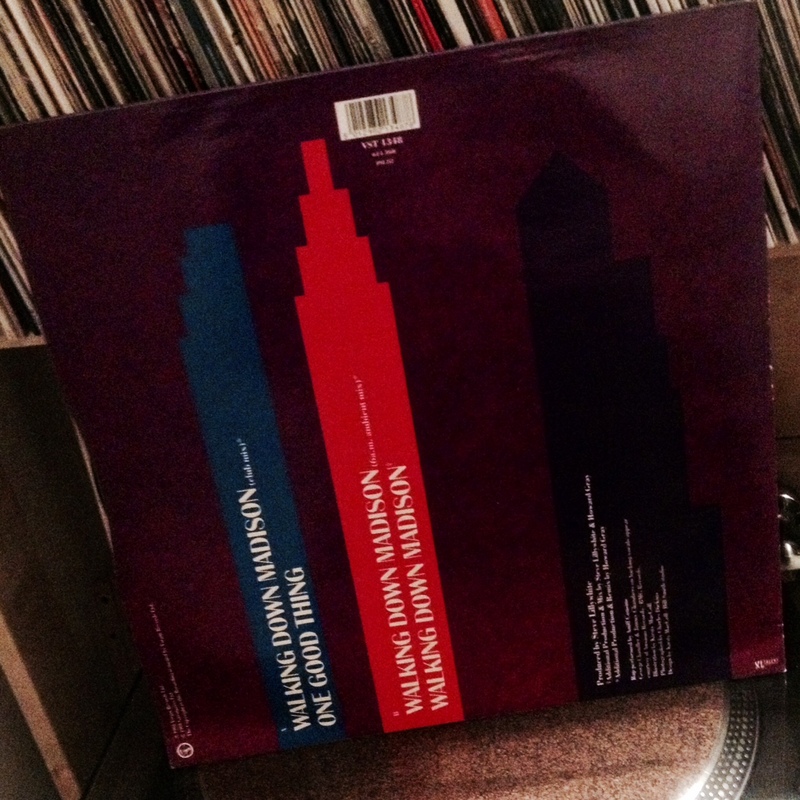 This entry was tagged 12" Vinyl, Johnny Marr, Kirsty MacColl, Steve Lilywhite. Bookmark the permalink.